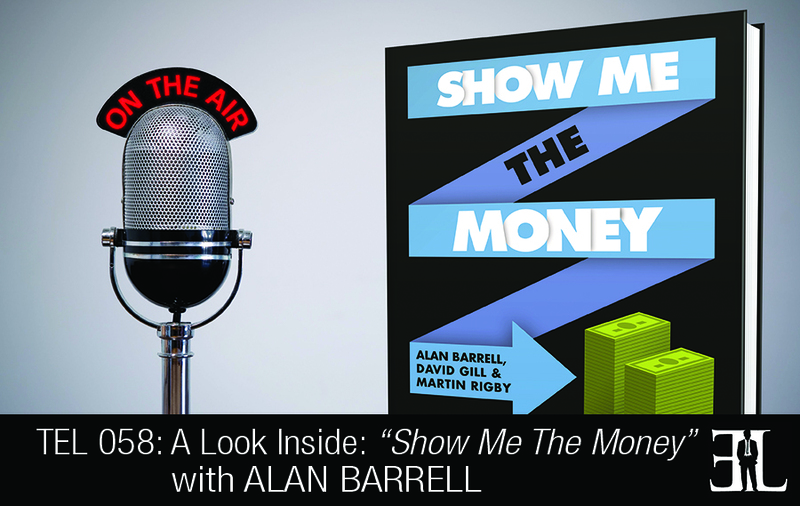 In this episode Alan Barrell takes a deep dive into his book, Show Me The Money where he takes you on a real-life journey of creating a new business. In his book, Barrell walks you through situations based on practitioners who got the basic right, know where the money is, have prepared for fundraising, know how to manage intellectual property, and understand the value their company brings. This book is perfect for the entrepreneur that plans on utilizing investors to fund a startup and have difficulty managing the external factors involved in doing business. It’s different by degrees – it is written by practitioners and not by academics. It’s based on expertise gained over the years. There are lots of case studies in this book talking about the real world and the basics. It depends on the reader. You could read from front to back or skip around if you feel the need. I would want the reader to take out of the book that the most important factor in everything we are writing about and thinking about is people. The most important thing if you are dealing with investors is the issue of real understanding and trust. In chapter one the book begins with the first principles. We are very heavy on insisting that people really assess their viability and make sure they are ready before getting it going. If you haven’t started a company you need to really think hard about whether you should and whether you are ready to do so. And when you start the company it is important to get the basics right. We see so many companies that start to do well and then they find that they don’t have the basics in place. You need your basics, management accounts, and proper process in place from day one. We spend a lot of time in the book insisting you think about these basics. Once you have your basics down you will need money to start your business and in chapter two we go over the market for money. I talk about where the money is generally, what money you can get and what the options are that you have. I always tell my students that the best source of money we will find is our own customers. In chapter three we get into the whole issue of preparing for fundraising. This is something I have spent a vast amount of my life doing with young people and with myself. The preparation for fundraising is so important and in this chapter we are trying to get the reader to think about the sources and investors. You will need to prepare yourself very carefully for the encounter you will have with these people. In chapter four we look at competitiveness and in some detail at intellectual property and how to manage that. When it comes to intellectual property you must work with the experts. Nobody in my view should try and do a deal of any magnitude without a smart lawyer at their right hand. In chapter five we look in a bit more detail at some of the new sources of funding that I have spoken about such as impact investing, venture philanthropy and grants. In chapter six we deal with the often very difficult subject of valuation and financial ratios. Very often entrepreneurs falter at the stage of valuation and of course the investors will try and value the company at a lower value than the entrepreneur. Valuation is not all about calculations and mathematics it is about understanding the market for money and how investors will value your company. In the final chapter of the book we talk about what to do after it is all over with, after you’ve been paid. The important element we go over is managing your investors and we also get into the conflict that can occur between the different investor directors. We also talk about the skills needed to help manage the investors who put a significant amount of money into your company. And in this chapter of the book we refer to the need to make sure that you have a clear view in your mind of the complete supply chain of money. I live in the wonderful city of Cambridge where I would say we have the closes thing to Silicon Valley. I work part-time at the University of Cambridge as the Entrepreneur in Residence. I’ve done a lot of work with larger companies. I’m a scientist, turned businessman, turned investor. The main inspiration was a huge interest in new business creation. It’s the new businesses and startups that are driving the economy of the world. I am passionate about new company startups as a means of growing economies and societies. Wade, this was a terrific podcast. I really enjoyed listening to your guest.